Every year millions of people head off to the dentist to get treatments ranging from simple cleanings to the more complex root canals performed. For some people this is merely a regular day for them, a routine visit to the doctor that causes them no great concern, for others the idea of going to the dentist can be a terrifying and paralyzing event. For these people, and those who are undergoing major dental surgery, sedation dentistry is an important practice. Sedation dentistry is a practice that involves the use of anesthesia, or sedation, to help patients undergo the sometimes nerve-wracking process of dentistry. There are four types of sedation dentistry, each one being used to handle specific instances and each one being a more complete form of sedation than the one prior. While most procedures can be performed under local anesthesia, a form that only numbs the area being worked on, others may require (or at least have the option to be performed under) sedation dentistry. As mentioned previously, there are four different types of sedation industry. Which one is used largely depends on the procedure being used and the particular preference of the patient undergoing the procedure. For some patients, only simple sedation dentistry, such as oral sedation or nitrous oxide, is required, while others may require a more thorough option be used. Below we’ll list each of the four types available. 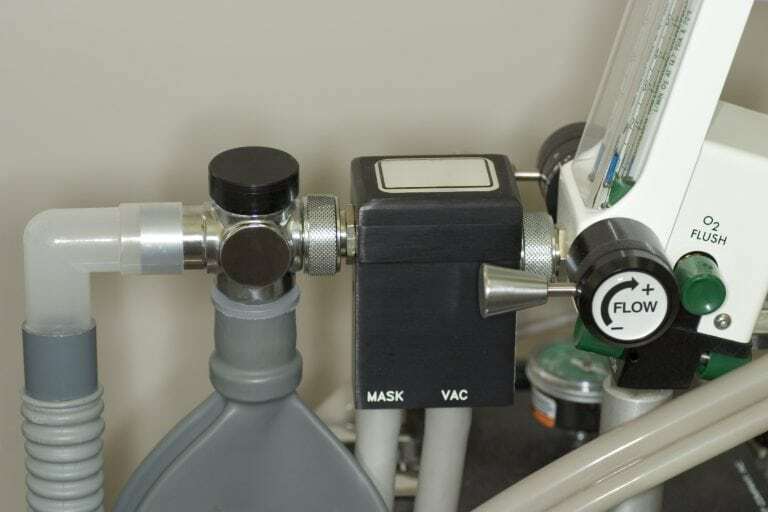 • Laughing Gas – Nitrous oxide, or laughing gas, is used in a procedure known as “inhaled minimal sedation”. This sedation method is administered through a gas mask and has the benefit of being completely under the control of the dentist. It also is the only form of sedation dentistry that can be done and allow the patient to drive home after the procedure. • Oral Sedation – Through the administering of a pill in the Valium family known as Halcion, a patient can receive nerve soothing anesthesia. Typically administered an hour before the treatment, a second dose can be given to help induce a deeper form of sedation. • Intravenous Sedation – IV Sedation is used in those cases where careful control of the sedation is necessary, and the dentist desires to keep the patient conscious. IV sedation can be carefully controlled during the procedure and can induce a state of consciousness that ranges from semi-conscious to deeply under. In all cases, however, the patient remains conscious. • General Anesthesia – This form of sedation puts the patient completely out, leaving them unconscious for the entirety of the procedure, and requires a significant amount of time following the procedure for the patient to return to consciousness. In all but the first case, the patient must have a driver waiting to take them home following the procedure as the after-effects of the sedation will be ongoing for some hours. If you’re wondering whether or not sedation dentistry is appropriate for you and your oral health needs, contact the Sunset Dental Group today and schedule a consultation.